On Monday 7 March, the Mayor of London, Boris Johnson, will address the Oxford and Cambridge crews who will be rowing in The Boat Race on 26 March. The oarsmen will weighed in at City Hall and the Mayor will acknowledge that it is 175 years since the university crews first raced on the River Thames in London. Read the press release here. Who is Boris Johnson, a Non-Brit may ask? Boris Johnson, a Conservative politician, is a former MP (Member of Parliament) for Henley-on-Thames who has been Mayor of London since May 2008. 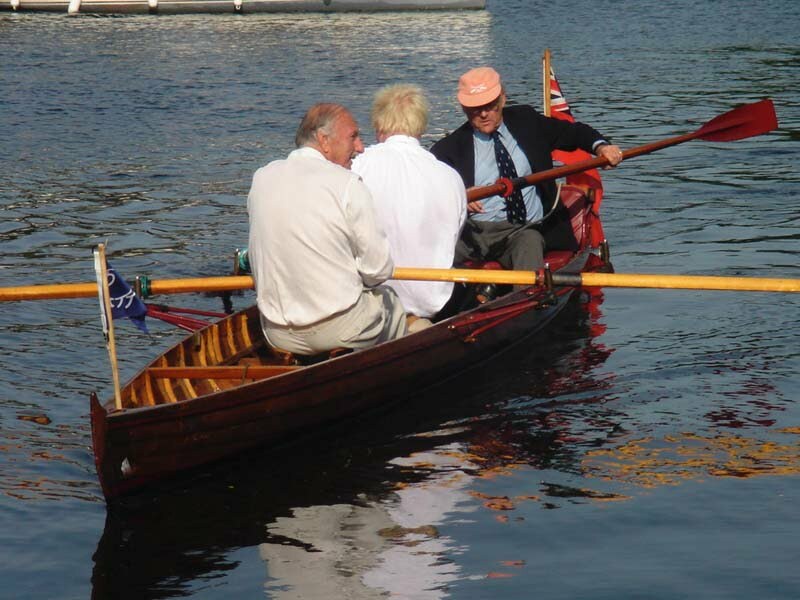 He studied at Eton College and Balliol College, Oxford, and at neither school he rowed, which was obvious when he, as the MP for Henley, opened the Upper Thames RC's new boathouse in 2005 (see picture below from the 'Tideway Slug'). He is one of the few British politicians known around the country on a first-name basis, and his unruly hair and far from tactful outspokenness are some of his trademarks, as is his badly tied neck-ties, I think. In Britain, he is either loved, or regarded as a babbling fool who constantly puts his foot in his mouth. Boris has worked as a journalist for the Conservative Daily Telegraph, where he still has a column. Between 1999 and 2005 he was the editor of the weekly magazine The Spectator. 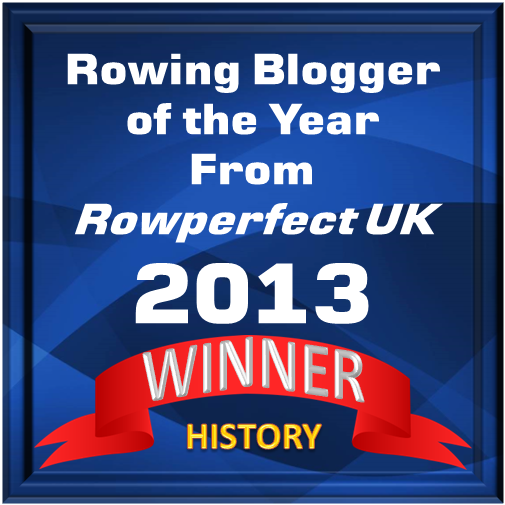 The last years have shown that the interest for professional rowing is alive and growing. Maybe it is the combination of social history and the history of the sport of rowing, combined with good stories about how certain races were conducted, the oarsmen’s training, and their backers sometimes ‘dirty tricks’ behind the scene. During the 2000s some very good books were published about the professionals and their era, to mention some: Gordon Trickett’s Ned Trickett, Champion Sculler of the World (2000); Ian Whitehead’s two The Sporting Tyne (about the professional oarsmen on the Tyne; 2002) and James Renforth of Gateshead (2004); David Clasper’s Rowing: A Way of Life (about the Claspers; 2003); Wendy A. Lewis’s Fire on the Water (youth book about Ned Hanlan; 2007); and Stuart Ripley’s Sculling and Skulduggery (2009). 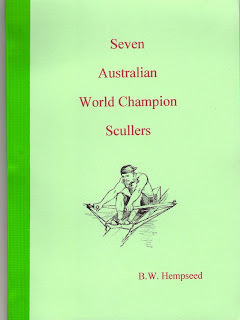 To these books we can now add the excellent Seven Australian World Champion Scullers, which was published in 2010 by Bernard W. Hempseed. Seven Australian World Champion Scullers is about the oarsmen and the period that came to be known as the Golden Age of Australian rowing. The professional World Champion Aussies were: Ned Trickett 1876-1879; Bill Beach 1884-1887; Peter Kemp 1888, 1890; Henry Searle 1888-1890; John Mclean 1890-1891; Jim Stanbury 1891-1896, 1905; and George Towns 1901-1904, 1906-1907. 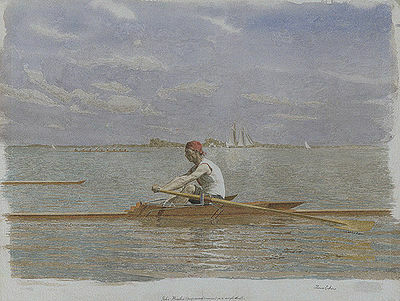 In his introduction Bernard Hempseed states that the purpose of the book is not to give detailed biographies of all of the champions involved, nor is it a full history of professional sculling in Australia, “instead”, he writes “it seeks to celebrate, and provide a detailed account of the thirty or so Championship races that occurred during the period in question”. Hempseed has the knack of pulling out the essential parts from these championship races to present them in an appealing and well-written way in his 85-page book. In an Appendix he lists all the contestants who sculled in the 95 races for the World Sculling Champion Title, starting with Ned Hanlan of Canada who raced 12 times for the title and won seven of the races; the Canadian is followed by Bill Beach, who raced and won seven races. The peculiar way the list is set, it is, at first, hard to understand, but for anyone who would like to read a full chronological list of the race for the World Championship Title in the single sculls can go to Wikipedia by clicking here. As a matter of fact, some of the articles on Wikipedia about the Champions are written by Bernard Hempseed. 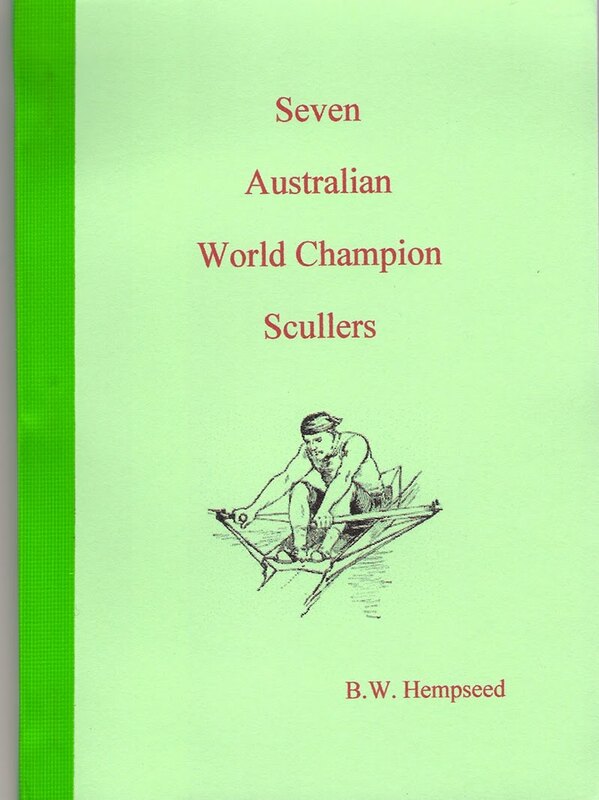 Seven Australian World Champion Scullers is self-published book, which I think nowadays is a very good and honourable way to get your work out on the market - especially if the market is as small as the one about the history of rowing! Anyone who would like to purchase a copy of Hempseed’s brilliant book can contact him on the following e-mail address: mbrosn (at) gmail.com The price is US$15 which includes postage. Note: Bernard Hempseed lives outside of Christchurch in New Zealand, and I am happy to report that he has contacted me to tell me that he and his family are okay after the terrible earthquake there the other day. Of course, in the wake of this disaster it can take some time to get the mail going. Turning in the direction from which he had come. He had passed on his row out. 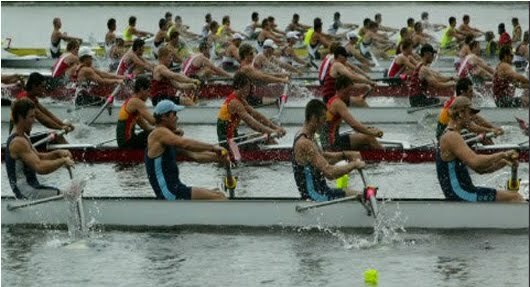 Applications for Olympic Games tickets, including the ones for rowing will be accepted between 15 March and 26 April 2011. Only use the official website, click here to get there. There is no advantage to submitting your application on the first day or the last day as, for sessions where demand exceeds supply, a ballot will be used to ensure fair allocation of tickets. If you are not a resident of the UK or one of the designated European countries you will be required to apply for tickets via your local National Olympic Committee. The rowing will take place at Eton School’s Dorney Lake which is near Windsor, 20 miles west of London. It was declared ready to host the event in May 2010. The Olympic Regatta will be held between 28th July and 4th August. Five hundred and fifty rowers and scullers will compete in fourteen events. The timetable for the rowing events is here. Of course, I think this is a brilliant idea, to go to London, well, that is Dorney Lake, in 2012. Right now, I cannot promise that I will be there, I am taking one regatta at the time, aiming for Henley Royal this summer. Sometimes when an extraordinary occasion occurs, it feels like time stood still. This is rare, but it actually happened today at a service of celebration and thanksgiving for the life of William Hartwell Perry, Jr. in the Calvary Church in Stonington, Connecticut. Hart Perry, who was born on 23 August 1933, passed away on 3 February this year after an exceptionally rich life that spanned more than 50 years in the service of the sport of rowing. There were many friends and close associates of Hart and his wife, Gill, who wanted to honour him, in fact so many that not all would fit inside the small church. However, a large tv screen was showing the service in an annex to the church, which was a good arrangement. Very appropriately, the Prelude was Händel’s “Water Music”, which was followed by a prayer for Hart, and then the hymn “My country, ‘tis of thee”. Hart’s two sons, Bill and Tod, read psalm 139, and his daughter, Lissa, read the famous lines from Kenneth Grahame’s The Wind in the Willows when Mole and Ratty first met and they go out on the river to mess about in a boat. This was appreciated, as was Hart’s old friend, Stewart MacDonald’s remembrances. MacDonald talked amusingly about Hart, the gentleman, but also the ‘plunderer’ and collector of stuff (and not all related to rowing). Hymn 717 “My country, ‘tis of thee” was appropriate to sing as it is the same tune as “God Save the Queen”, something the anglophile Hart would have loved, said MacDonald. The service ended with “Eton Boating Song.” After the service, a reception was held at The River Room in the Latitude 41 Restaurant, next to the Rowing Hall of Fame at Mystic Seaport. For those who wanted, they could walk over to visit ‘The Hall’, one of Hart’s many accomplishments within the rowing community. "THE MAN WHO'LL WIN THE BOAT RACE. Light or Dark Blues first, come Saturday, George Sims of Hammersmith is the winner. He built both boats. Sims' family connection with the race goes back to 1899, when George's grandfather built the Cambridge boat which stopped the Dark Blue sequence of nine wins. Light Blue stroke then was Brigadier J.H. Gibbon, Cambridge coach this year. George Sims started his own boat building business in 1937 by building the Oxford craft which broke the run of 13 wins by the Light Blues. Boats are built entirely without blueprints or drawings, to plans carried in George's head. They are made of Empire woods, Honduras cedar for the skin, English sycamore for the ribs, Canadian silver spruce for the keel. Orders come from all over the world - Canada, the U.S, Holland, Norway and Sweden." The Rutland Boathouse backs onto Auriol Kensington clubhouse. As my picture above shows it is now, sadly, derelict. It is owned by the brewery that runs the adjacent 'Rutland' pub but they have no use for it. AK wanted to buy it and 'knock through' but the cost was prohibitive. The always interesting British Pathe site shows wooden boat building at Eton in 1950. Plastic boats must be 'better' I suppose but wooden boats made a few yards from the Thames from 'Empire woods' by third generation craftsmen wearing collar and tie has a certain appeal. Tim, I can only agree. Thank you for an interesting report. It is going to be exacting to see how Cambridge is doing on Boat Race Day in their new boat. 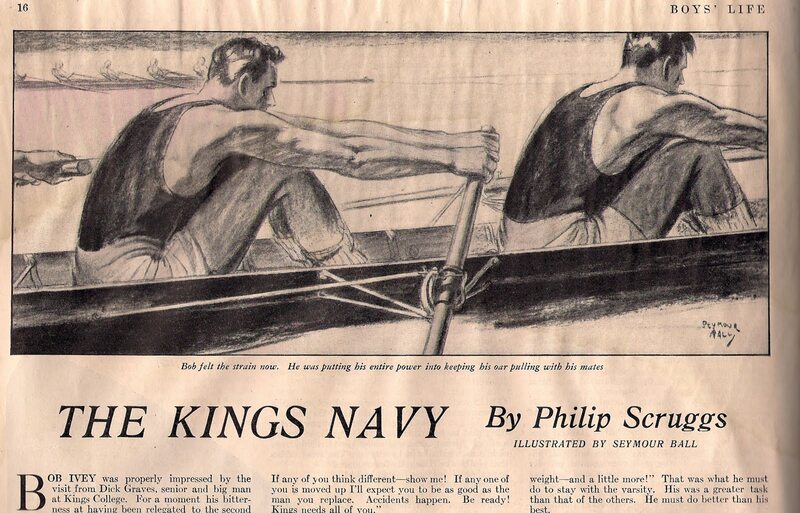 As I mentioned in an entry yesterday, the issue of June 1932 of Boys' Life not only has a short story published, "The Kings Navy", but it also has a 'rowing cover'. At first, one would believe that the illustration on the cover relates to the short story inside the magazine, but that is not the case. If you look closely, you might find that the cover illustration, which is made by artist Sidney Riesenberg, is not from a fictional race and geographical place. We can see only two crews racing, so the question we might ask ourselves is: which is the most famous rowing race in America? Well, the one between Yale and Harvard, of course. The young men on the left, and one of them is reporting the race 'over the wire', are sitting and leaning out from (I would never dare to to that!) the Gold Star Memorial Bridge, which goes over the Thames River, which is the boarder line between the cities of Groton (on the east side) and New London (on the west side) in Connecticut. 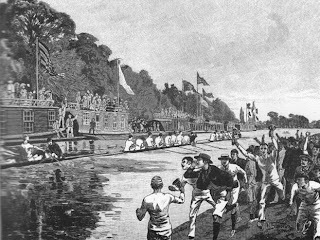 Nowadays, most of the races between Yale and Harvard go upstream, but in Riesenberg's illustration the boats go downstream, having the finish line just under the bridge. In 1932, the race was rowed on 24 June downstream and Harvard won, at 21:29, against Yale's 21:42. The previous time the race when downstream was in 1930. How can I be so sure of the location? Well, look closely in the upper right-hand corner of the illustration - there is the silhouette of the most famous building along the Thames River: Harvard's boat house Red Top! This year, the race is going to be early, already on Saturday 28 May. The images for the short story "The Kings Navy" were made by Seymour Ball. In the June 1932 issue of the magazine Boys' Life, published by the Boy Scouts of America is a short story by Philip Scruggs, "The Kings Navy". It is one of these rare sports stories where the athletes are oarsmen, rowing for King's College. The story is very 1930-ish, of course, but I am somehow impressed by Scruggs's knowledge about the sport of rowing. And added to my liking is illustrator Seymour Ball's drawings (both being shown on top and on the right). I am afraid I do not have any information about the writer Philip Scruggs or the illustrator Seymour Ball. You will, however, find a list of Scruggs's stories between 1928 and 1935 by clicking here. Rachel Quarrell reports in the Daily Telegraph that for this year's Boat Race, Cambridge is going to drop their Empacher for a Canadian Hudson shell, a so called Hammerhead. Read her article by clicking here. The legend says that oarsmen have actually died competing in the Cambridge bump races by being hit by the bow on a boat coming from behind. Earlier today, Greg, who is a loyal reader of HTBS, sent an e-mail with a clip from the Daily Mail on Monday, 7 February, where a Mail reader has even heard that a crew put a sword in the bow of their boat. True or false? See what the answer was in the Daily Mail by clicking here. Oh, yes, Greg also wanted to assure me that he is not the reader of the Daily Mail, which is a "right wing tabloid", in his family. He states, "It in no way reflects my views. Glad to get that off my chest!" I agree, Greg, sometimes it feels good to get things of one's chest! In the December 2010 issue of the French rowing magazine Ramer, published by the French Rowing Federation, Paul Miquel interviews Jacques Perrin, the director of Oceans, a sea-life documentary released in 2009. In 2004, he was one of the producers of the French film The Chorus. HTBS’s Hélène Rémond has translated the article and gives us some personal pieces of it in English. Enjoy! In the interview, Jacques Perrin explains his passion for rowing. As a young boy, he lived in the suburbs of Paris, close to the river Seine, where there were two rowing clubs: Le Rowing Club (“the club for the rich people”) and the Société Nautique de la Basse Seine (“the club for the working-class people”). Ten years after World War II, the sport of rowing means one thing for him - freedom. “It was fantastic”, he says. Perrin was attracted to the beauty of the boats. Seeing the rowers glide on the water got his imagination going. He first had a go at it at Basse Seine as a cox. In the mid-1950s, the coxed four was composed of Villain, Prudhon, Le Bihan, and Nicolo, and they were actually the Champions of France, in the youth class. 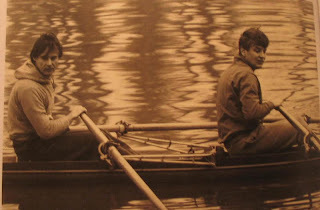 He later rowed with Pierre Netto (his long-time friend, who let me use the photo of them) in a double scull. He remembers the Coach, Mr. Clergerie, at the time when Jean Séphériades was active. (The latter won the Diamonds Sculls at Henley in 1946, against the American John Kelly Jr.) Clergerie used to say, “Hear the boat sing” in his megaphone, to make their boat go faster. This is an expression full of poetry and very true, according to Jacques Perrin. It’s a beautiful expression, indeed. He knows how important it is to follow a harmonious movement, while hearing the blades “ring” as they grip the water. 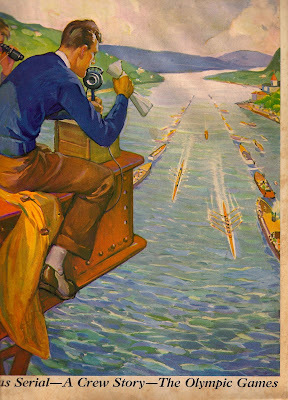 I wonder if he has read The Boat Race by Gordon Ross, whose admiration for the rowers made him write, in 1956, “having learnt to concentrate and coordinate mind and muscle, and together to generate a power so controlled that the effort appears effortless, making the boat sing as she goes […]” and who also referred to the ringing of the blades! Jacques Perrin explains that in 1955 and 1956, it was a real pleasure to row on the Seine. There were also barges from which people swam in the river. His first travels date back from the time when he was a cox. He travelled thanks to rowing. He visited Mâcon, Lucerne, in Switzerland, and Ostend, in Belgium. 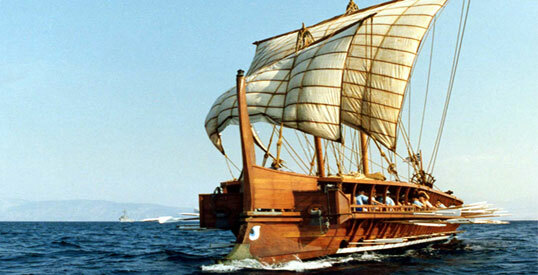 For him, travelling is linked to rowing, as his discovery of the world started in a rowing boat. Solidarity and brotherhood are strongly mirrored in rowing according to him. 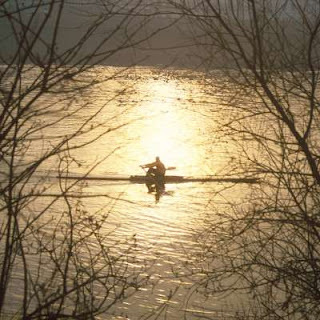 He thinks that very rarely do TV programmes successfully recreate what rowers feel in a boat, and as a director, he has an idea about a rowing sequence he would film, with a “powerful, elegant, and noble boat” set in an idyllic place, like in Lucerne, where the emerald green riverside appeals to him. To film, he would love to be in the middle of the perspectives to recreate different images that would render the tremendous effort put in by the rowers. People don’t know much about rowing because it’s not given much media coverage. The 69-year old film director says he would show the beauty of it, the melody of the movement. “Yes, I’m going to do a film about rowing. […] It will be a 10-minute symphony, like a concert”. It’s a funny coincidence again, since Gordon Ross referred to “the blades echoing as a masterpiece of music”. Merci à l’accueil de Galatée Films et à Pierre Netto pour son autorisation à utiliser la photo! And thank you, Hélène, for sharing this with the readers of HTBS. As has been mentioned before on HTBS, Hart Perry, Executive Director of the National Rowing Foundation and a Henley Steward, died on 3 February, 2011. With the passing of Hart Perry an era has come to an end. Without exaggeration it can be said, that never in any sport have so many athletes had so much to thank one single man for. Thousands and thousands of rowers and others involved in our much-loved sport would not be where they are today if it had not been for Hart Perry, both when it comes to rowing, but also for what kind of persons they would become after their rowing career was over. I am one of them. In August 2000, I moved to Mystic, Connecticut, from Sweden without knowing any people in town, except my wife and one or two of her friends. I had rowed in Sweden, but never distinguished myself at the oar. 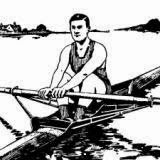 But I was interested in the history of rowing, and someone suggested that I talk to “Mr. Perry” to get some guidance on how to get involved in the sport “over here”. I met him for the first time during a short break at the Coastweeks Regatta on the Mystic River in September. It took Hart a couple of minutes to convince me that I should volunteer for the National Rowing Foundation and I started out by cataloguing some regatta programmes. Hart also called me now and then to ask if I could help him with some odd ends here and there. 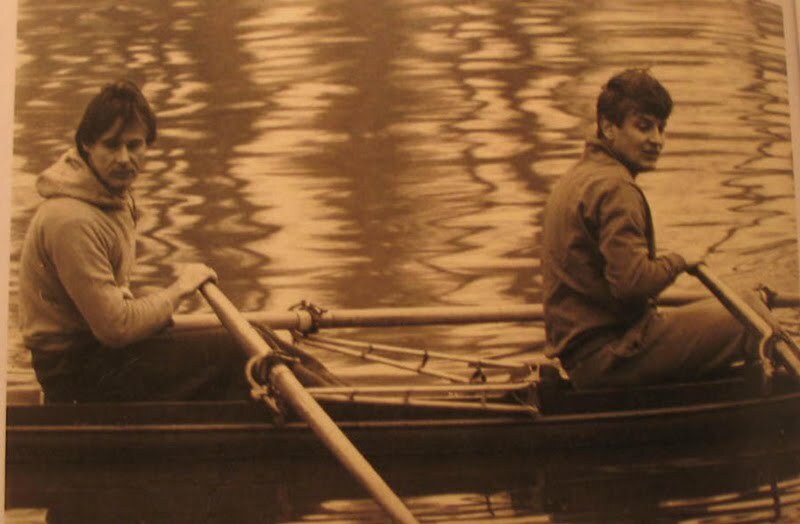 And through Hart I met other people who had the same interest as I – the history of rowing. Then late fall 2007, I happened to bump into him after he just had had a meeting with Mystic Seaport’s president. I understood that something exciting had occurred as Hart had fire in his eyes. “We got it,” he said, and smiled. “We got the space for the Rowing Hall of Fame!” Slightly more than three months later, March 2008, the National Rowing Foundation’s National Rowing Hall of Fame opened in the G.W. Blunt White Building at the north end of Mystic Seaport. More than hundred volunteers had repaired, painted and done odd works to make it happen. It was a proud moment for Hart, and his wife, Gill, who was always there to help him, but also for the rest of us in the rowing community in and around Mystic. We had seen history in the making, and if it had not been for Hart, working in all directions to create a permanent home for the Rowing Hall of Fame and the grand rowing exhibit “Let Her Run”, it would never have come into existence. If Hart was not out of the country, as a Henley Steward (he of course went to England a lot), almost every week he and I would be in contact, either over the phone, via e-mail, or in person. He liked to keep me in the loop as he called it what was going on with the rowing exhibit at Mystic Seaport. It could be donations that were on their way in, or "rowing stuff" that had just arrived to his home. If it was larger things, I helped him carry them to the back rooms of the exhibit, or I would do research about a famous rowing race, or an old rower who had his glory days more than hundred years ago. A good example of the latter is Benjamin Hunting Howell, an American who is nowadays forgotten due to having his entire rowing career at Trinity Hall, Cambridge, and the Thames RC in London. A beautiful photo album was donated by Fred Elliott, one of Hart's boys from Kent School, and Hart and I were both amazed by the treasure trove we had in front of us. Each time I found some more information about Hunting, I would fire off an e-mail to Hart just to tell him about my new finding. He would always come back with a cheerful note congratulating me for my discovery, and urging me on for more. It was most gratifying to have him as the recipient of good news, he was like a professor encouraging a student doing research. I am sorry that he will not be around to see the finished result. In him I saw a mentor and a friend. As mentioned before there are many rowers out there who have Hart to thank for the lives they live today. Of course, they have their stories about Hart. He was a real people-person who could tell stories about rowers and races from decades ago. He knew and remembered the men and women by name, their brothers and sisters, and parents, and wives and husbands, and probably their children. All of us owe it to Hart to now continue his legacy. I know his dear wife, Gill, will keep the torch burning and we should be there to help her. My heart goes out to her and his family. A good and fine gentleman has passed. 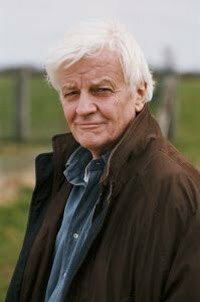 Rest in peace, dear Hart! William Hartwell ‘Hart’ Perry Jr., who was born 23 August 1933, began rowing at Noble and Greenough School in Dedham, Massachusetts, after his baseball coach suggested that he maybe should “consider another sport”. Perry successfully took up rowing, and continued to pull an oar at Dartmouth, but was soon banned from sports until he had improved his grades. However, he rowed his sophomore year, but by his junior year he had been, as Perry himself would say, “growing the wrong way,” that is “too heavy for lightweight rowing and too short for heavyweights.”Instead he became the freshman lightweight coach in his junior year and the varsity lightweight coach his senior year. Perry took his crew to Henley Royal Regatta, the first lightweight crew from Dartmouth to go to Henley. After Dartmouth, Hart Perry enlisted in the U.S. Coast Guard and while he was stationed in Hawaii, he coached at the Iolanni School. When he left the Coast Guard, he returned to Dartmouth to coach for two more years. In the beginning of the 1960s, he came to Kent School as a teacher and an assistant rowing coach to ‘Tote’ Walker. 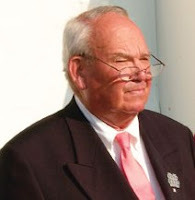 In 1964, Perry was appointed head coach at Kent School. In Rick Rinehart’s eminent book Men of Kent (2010), Perry has a prominent place as the coach for ten young men’s success when they were victorious at Henley, winning the 1972 Princess Elizabeth Challenge Cup. “That is a highlight that will always be up there for me,” Perry told USRowing in a recent interview. 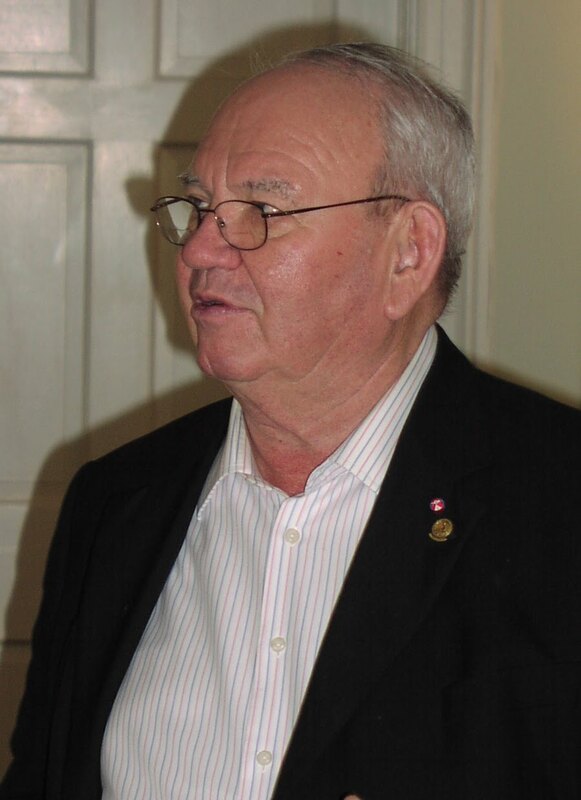 In 1974, Perry was the first non-British Commonwealth citizen to be elected a Henley Steward, and he would become instrumental in bringing American crews to Henley. Over more than 50 years, Perry lived a life in rowing: he rowed, coached, and served as an official in both national and international events, in two Olympic Games, 18 World Rowing Junior Championships, and 10 World Rowing Championships, and for decades he was working with Juniors within FISA, the international rowing federation. He was the president of the National Association of Amateur Oarsmen, the predecessor organization to USRowing, and after he stepped down from that position, he became the driving force to raise money for U.S. athletes to compete in international regattas. During the years, he received several awards, i.e. in 2009, he and his beloved wife, Gillian, his right hand, were awarded the USRowing Medal, and on 20 January this year, he was awarded the World Rowing Distinguished Service to Rowing Award at the World Rowing Coaches Conference Gala at the River & Rowing Museum in Henley-on-Thames, England. Hart Perry was inducted into four rowing halls of fame, including the National Rowing Hall of Fame in 1990. Already from the start he was involved with the National Rowing Hall of Fame in 1956, and for decades he was working hard to establish a physical place for “the Hall”, especially since he was elected the Executive Director of the National Rowing Foundation (NRF), which is the organization in charge of inducting members into the Rowing Hall of Fame. In 2008, Perry finally saw a dream come true when the NRF’s National Rowing Hall of Fame opened in the G.W. Blunt White Building at Mystic Seaport in Mystic, Connecticut. Hart Perry died on 3 February 2011 after a short illness. He is survived by his wife Gillian; his five children; and 12 grandchildren. In lieu of flowers, donations can be made in Hart’s name to the National Rowing Foundation. It was with profound sadness I learned that Hart Perry, Executive Director of the National Rowing Foundation, Henley Steward, to mention a few of his positions in the Rowing World, passed away at Lawrence & Memorial Hospital, in New London, Connecticut, at 1 o’clock this afternoon. He took ill at the award dinner at Henley on the 20 January, and when he returned home, he was soon thereafter rushed to the hospital. Hart was a great man, and he will be sadly missed by all his friends around the world! Read about Hart on USRowing's site. Read about Hart on Row2k's site. The post card above is from the inner habour in the town of Helsingborg, on the Swedish South-West coast. 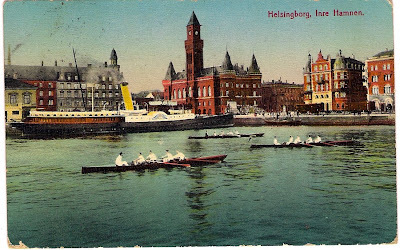 Already in 1868, a large rowing and sailing regatta was held in town between Danish and Swedish crews, and more than 15,000 people showed up to watch the races. It then took almost fifteen years before a rowing club was founded in town, Helsingborgs Roddklubb, in 1883. I do not know when the picture was taken, or when the post card was sent (the stamp has been removed), but it was sent from Helsingborg to the Smart Family in Ballogie, Aberdeenshire, Scotland. As we can see, there are three coxed inrigger fours out in the habour. It is known that the club bought a new four in 1895, and ten years later a couple of new inriggers – by 1911, the club had three inrigger fours, two inrigger pairs, two single sculls, and a four-oared gig. It is very likely that the picture is from around that time. The vessel docked on the left is probably a ferry going over to the Danish town of Helsingör. I would like to thank “Greg”, who on 2 January, 2011, pointed me in the direction of this nice post card on eBay. As you can all see, I won the card! The other day, The Wall Street Journal published an article about some scholars' row over the oar-powered trireme. Read the article here. Regarding the latter article, it was taken from The New York Times about a regatta in Saratoga on 11 September, 1871. Competing at this regatta in fours were the Biglin brothers, the Ward brothers, the Dutchess County crew, and two boats from England, the Taylor-Winship crew and the Tyne crew, “who pulled along leisurely in white jerseys with black ties round their throats, in memory of their deceased comrade Renforth.” Poor James Renforth had died just after a race in St. Johns, Canada, on 23 August the same year. Following are two articles from The New York Times about the Saratoga Boat Race, about the preparations of the regatta and an introduction of the crews, published on 8 September and another article with results, published on 13 September. Enjoy!